We are pleased to work together with Jorge Cervantes in our mutual project: "Jorge’s Diamonds". 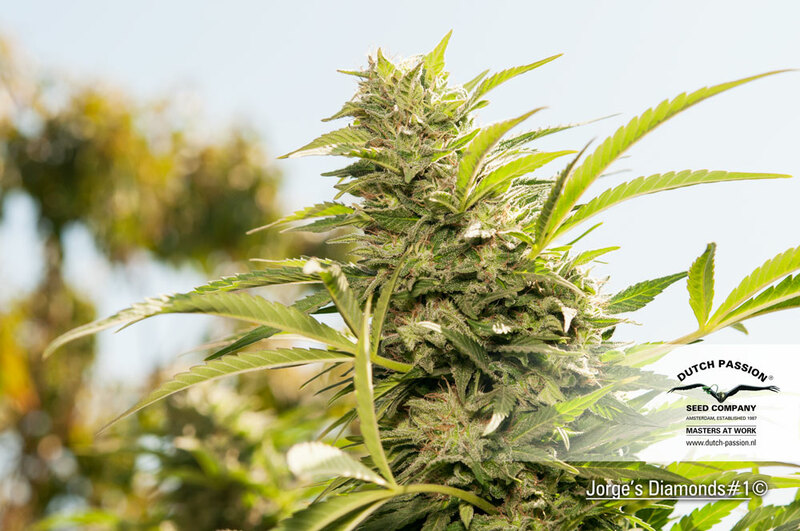 The many growbooks, DVD’s and articles Jorge Cervantes published in the past 25 years in 9 languages, have helped growers worldwide to cultivate some of the best marijuana in the world. 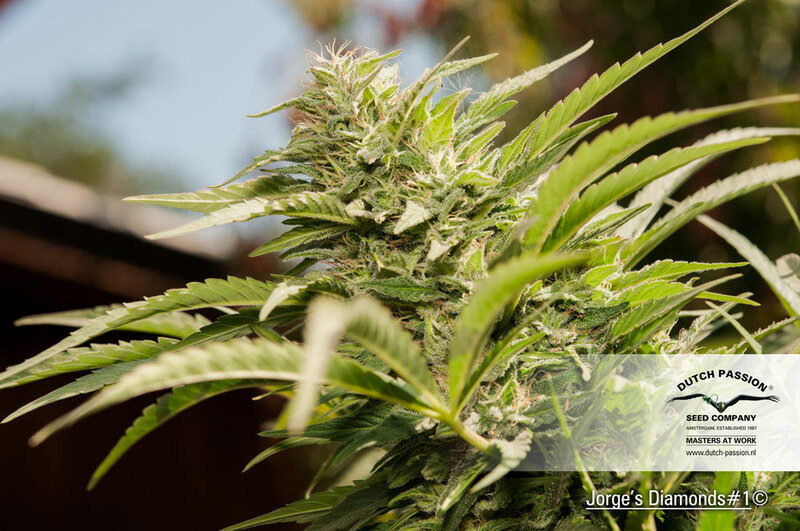 Now growers can grow Jorge’s Diamonds #1 and take full advantage of the fruits of Jorge’s collaboration with his old friends at Dutch Passion Seeds. 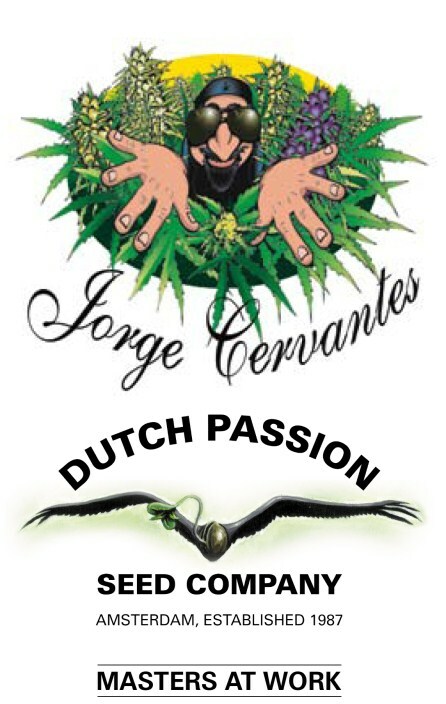 The genetics of the strain were selected by Jorge from the 25 year old "Research Gene Pool" of Dutch Passion. Jorge's Diamond is a unique resin-packed indica-dominant strain that is potent, sweet, flavorful and incredibly smooth smoking. The rare indica-dominant genes are mixed with just the right amount of sativa to give the smoke a very strong soaring long-lasting high. The exceptional taste and aroma are fruity and sweet. The insatiable taste is sweet and similar to wild honey smothered in raspberries. 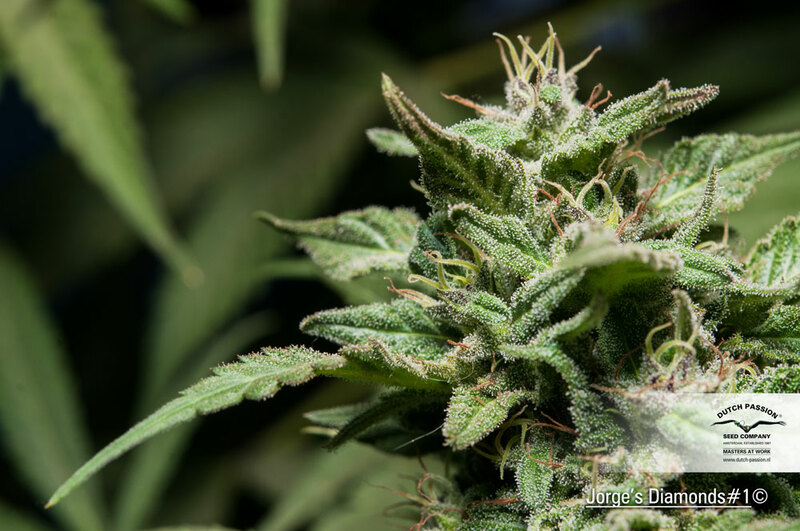 The strain is almost maintenance free, also spider mites and other pests know to leave Jorge’s Diamonds #1 alone. Medical note: By Thin Layer Chromatography the THC percentage was calculated at 16 to 18%, while the strain (medical note) is high in THCV, CBD and CBN. Medium sized & density nuggets of that dark indica/Afghan green, with occasional bits of purpling. Smells sweet/floral & rich in the bag/cure jar. Resin coated crystals just glistening everywhere... a definite snow storm. Grinds nicely. Not the tightest buds ever, but they crumbled well and fired nicely in the vape and bong. Now, it coulda been the cure (perhaps moist? ), but sadly wasn't conducive to doobie-age, which I attributed at least partly to the sheer amount of frosty resin. Smoothest smoke ever... it challenges you to inhale deeply! Never had anything like it... curiously tasty, but not from any berry or fruit or floral line that I could put my finger on. Dense white smoke clouds filled with camphor herbal woodsiness, and some [not much] floral sweetness. Almost like fresh linen. You think you want to cough, but it's like the smoke rescues you and you can't... unless you really try. I suspect lots of eucalyptol/cineole in its terpene profile. Decently potent, quite long lasting. One newb found it overwhelming; she stayed quiet for nearly 2 hours after a single long draw off the bong. Started very energizing, settled into a giggly, sociable but low energy, high entropy body buzz that occasionally locked horns with gravity & resulted in needed couch time. Grade A. Easily in my Top 10 smokes, knocking on the door of the Top 5. Only lacks some more bag appeal coloring/purpling, perhaps a bit more distinctive fruity/floral sweetness, maybe a tad more psychedelic (for me, anyway). She's a stone cold fox! I loved growing Jorge's Diamonds as they were easy to grow and produced a heavy amount. She smelled so heavenly that I found myself hanging around in my indoor garden for sheer pleasure alone. The terpenes were sublimely relaxing and if I had more room, I'd meditate there too. I harvested when the trichs were cloudy with a few amber and she smoked sweet and smooth. All my friends enjoyed a wonderful clear soaring high. Ahh, springtime in the Rockies...it was mile high heaven! Lovely plant to grow and smoke! Trichome production is through the roof with these and the stone will put you firmly in your chair! If you have plans for the day do not wake and bake with Jorges Diamonds #1!! I actually messed up my grow with these but they still gave me grade "A" buds! Great for medicinal users, very good for sleep. Definitely a "keeper". Hi Got send these seeds by mistake & I'm so glad it found its way to my shores. She was fairly easy to grow with a med to large yield. All things said about her is true, she is extremely smooth with an awesome taste. I grew her in organic soil & nutrients. Very nice calming high, one of the best so far, you'll be at peace with the world, great for insomnia. I would definitely recommend her & will grow her again. serious hardy plant here with JD fairs well in the cold also its very easy to grow! 5 seeds cracked buds all most all identical was covered in sticky resin 12 days into 12/12 one to grow again for sure!! I hadn't heard of Jorges Diamonds till I saw it on the website, so I decided to give it a try anyway and was really pleased. I entered the photocontest but didnt win, but I had a well stacked growroom after I bought a packet of these. I smoke mostly for pleasure but also to ease a few aches and pains that come with middle age. This was a great variety in both respects and I am surprised you don't hear about it more cos the quality is great. Very strong grass with a fresh taste and really nice indica-style hit like bluberry. I got a great crop at 65 days flowering. So yeah, no complaints at all I would grow her again no problem.